Mark Evanko, co-founder of BRUNS-PAK, will moderate a panel on data center enterprise transformation at Data Center World Local, Washington D.C. Here is the text from the article below, great read! When you want to know what trends should be on your radar as a data center professional, Mark Evanko is a good source of knowledge. With nearly four decades of experience in the data center space, the co-founder and principal engineer at data center consulting firm BRUNS-PAK understands where today’s trends came from – and where they’re going. He has his ear close to the ground, getting feedback directly from BRUNS-PAK’s target market. He hears what issues are top of mind for board executives and senior management when planning their data center developments and uses this to help maintain a multi-point strategic planning model. In the past, that model has featured 18 elements that impact enterprise data center solutions. They have included cloud computing, colocation and disaster recovery. Evanko will be moderating a panel about trends in the data center space at Data Center World Local, Washington D.C. on May 15. Attendees at this Data Center Enterprise Transformation presentation will learn the “elements” and fundamental concepts associated with the continued transformation. The panel will also explain what board of directors, senior management, stock holders, trustees, and taxpayers are looking for in their data center solution and provide a vendor-neutral overview of total cost of ownership vs. risk. One of the most significant factors associated with data center transformation is cybersecurity, especially as it pertains to cloud computing, Evanko warns. “If data is ever taken, stolen or corrupted at a third-party venue, there is no recovery for the enterprise. They can’t sue the third-party provider because they absolve themselves of any liability,” he says. He adds that large third-party cloud and colocation service providers will generally not take liability for security breaches in client contracts because it would be prohibitively expensive for them. “Some of these large enterprises are weighing that risk,” he explains. This manifests itself in decisions about which applications to take off-site and which to retain on a company’s premises. He has a process called ‘candidacy’, in which BRUNS-PAK reviews products and services against several tiers of mission-criticality. The cloud has a role in less critical applications, he says. 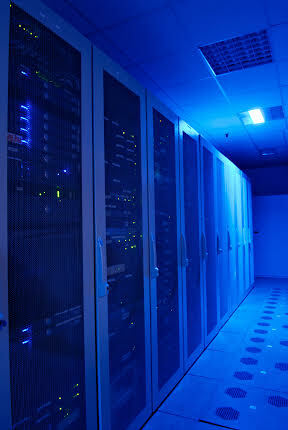 Evanko warns that there is still much educating to be done as companies struggle to keep track of a rapidly-changing data center landscape. “Many of the customers that we have come across have not necessarily understood what the impacts are,” he says. Therein lies his fundamental message. When it comes to managing transformational data center trends like edge and cloud computing while keeping your information safe, data center professionals must understand how to balance risk, total cost of ownership, and functionality. That can be a difficult path to walk, which is why understanding the impacts of these new technologies is so critical. BRUNS-PAK is a company of facilities and IT professionals who create robust design/build solutions for mission-critical data centers that balance ultrareliability with QoS demands, storage challenges, environmental responsibility, energy efficiency and capital cost control.